KOI USA Inc. is both a for-profit California corporation and a wholly owned subsidiary of the Associated Koi Clubs of America (AKCA). 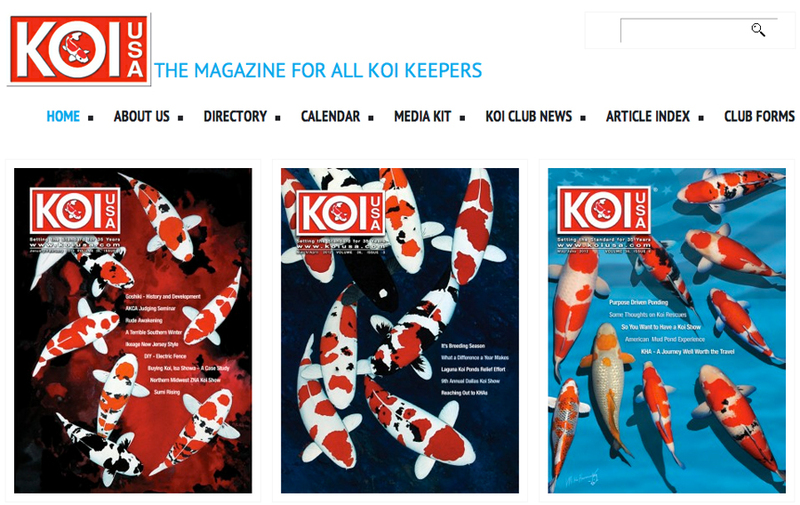 The mission of KOI USA is to provide a quality magazine for a broad range of koi hobbyists at a reasonable profit while providing financial stability to our non-profit AKCA parent corporation for the purposes of promoting, creating and enlarging the hobby of keeping, breeding, appreciating and exhibiting koi. Click the image below or title “KOI USA Magazine” to visit the site.